These specimens from the genus Peltigara, are known as dog lichens. 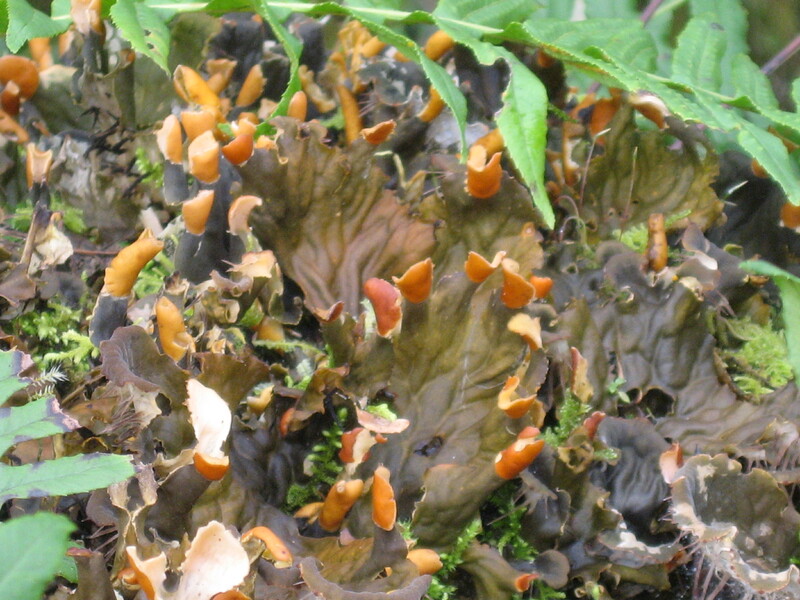 There are 90 or so species of dog lichens worldwide, and 34 are common to North America. Even though recognizing the group as a whole is fairly easy, species identification is more difficult. I found these lichens on a heavily moss covered rock substrates in an area that receives some sun, but also a fair amount of shade. 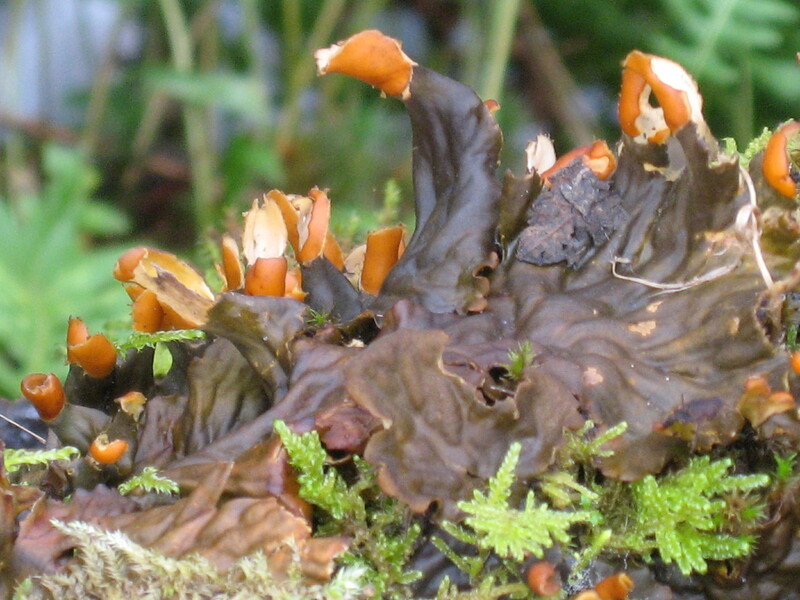 Gallery | This entry was posted in Fungi & Slime Molds and tagged Dog Lichen, Dog Lichens, Lichen, Lichens, Peltiara. Bookmark the permalink. Wow, they’re quite substantial. Do any animals eat these? This is the first dog lichen which I have come across. I know little about them. I did not find any large-scale damage that would indicate grazing from any of the bigger animals. However there was evidence of small holes and marks. 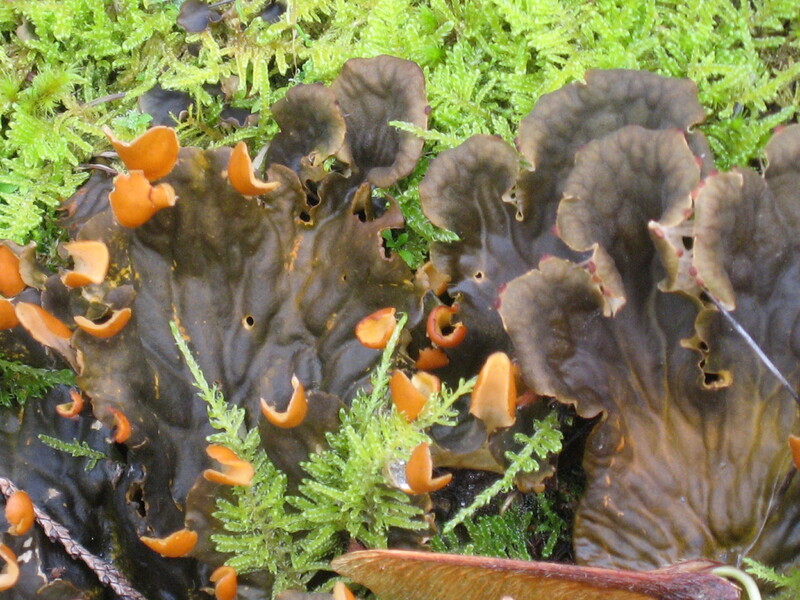 Slugs commonly have a craving for fungi as do many insects. Oh, that reminds me of another post I need to put together… Stay tuned. Excellent photos. I see that at least a couple species of these live in my area and these look somewhat familiar. I will now have to start looking at lichens more closely. There are lots of lichens here, but I haven’t concentrated on them even though many are very pretty and I do know several that are beneficial to the local wildlife. I never set out to give so much blog time to lichens, but once I started looking at them more closely, they were hard to resist. Close-up views often have the look of some sort of alien landscape. Unfortunately, I have found that identification can be difficult with this group, at least for me. More amazing lichen shots. I’ve never seen one like that before, I think you must have alot more species in the US than we do in the UK. I was on the east coast over the last couple of days and took some pictures of some green feathery lichens on a tree when I got to wondering about the taxonomy. 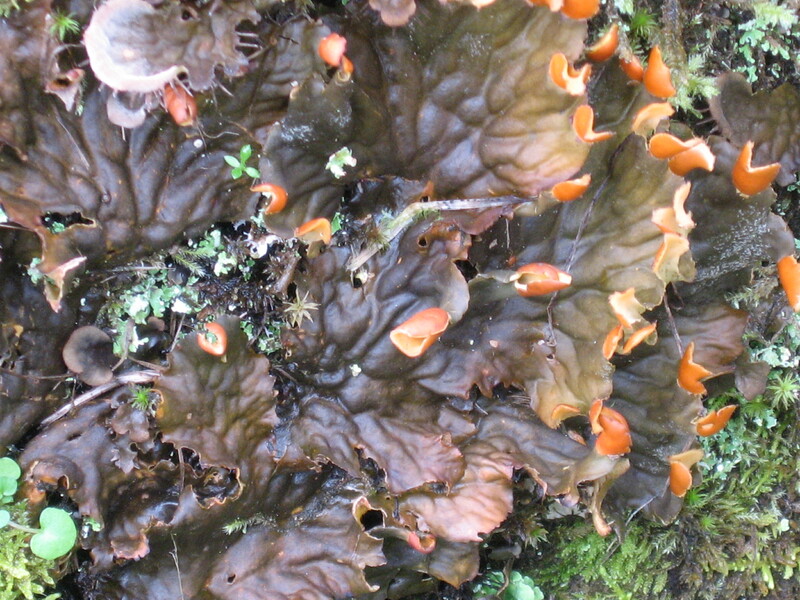 They have the conventional binomial nomenclature as all other species, but they consist of a fungus and an alga which each have their own binomens. Are they the only obligate symbiants that have their own and a combined name? I am far from being knowledgeable in this area, but I can think of one example in the animal kingdom in which each symbiont may have a separate genus and species name apart from the whole. What comes to mind is the man-of-war. It is comprised of four different types of marine polyps, one for the float, another for defense and prey capture, a third for feeding and lastly, one for reproduction. Each type depends on the others for its survival. I know that the man-of war has a genus/species identity, however I am not sure if the individual polyp types do.